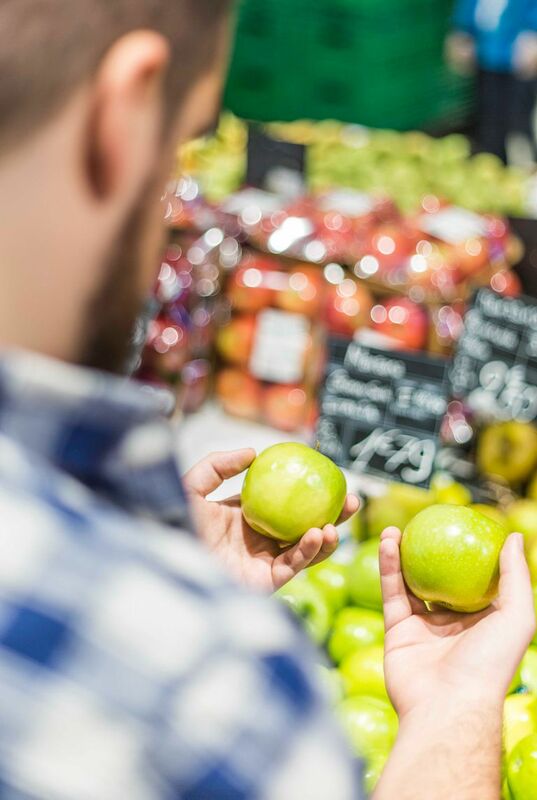 Choosing the best grocery price comparison app depends largely on how, when and where you shop. Some grocery shopping apps have other time or money saving features as well, such as digital coupons and digital lists. Learning the features and tools available on supermarket price comparison apps will enable you to find the perfect one for you and your family. With multiple ways to find the products you are looking for, this app can save loads of time. Sign up is easy, and you have the option of connecting with your Facebook or Google account as well. The app automatically shows stores in your area, but you can also set preferences such as favorite stores and notifications. The built-in bar code scanner makes price lookup super simple. Samsung Pay and PayPal features will be available soon. It doesn't always offer brand- or size-specific comparisons. Checking off or deleting list items is not intuitive. Creating and maintaining custom shopping lists for faster price comparison makes this a useful app. You can create a custom list in a snap, choose stores near you to compare product prices and find the best deals at stores near you. A quick search will show you the best deals on the items you need. Receive notifications when new sale prices for your favorite items are added to the weekly sales lists for your stores. ​This app only allows you to compare prices for items on sale. Get help with shopping from your spouse, child or roommate when you both use this app. It's easy to search for items to find sales prices or best deals. You can also browse sales ads from all sorts of stores near you. Create a custom list or combine your list with someone else's, so you can collaborate. ​This is another app that only enables you to compare prices for items in sales. If you are a fan of digital coupons and rebates, you may want to know that they are doing away with these features, as well. Compare grocery prices and keep other info at the ready with his handy shopping app. Along with comparing grocery store prices, you can check to see if a store is currently open, sort shopping lists by distance to save time and get alerts when you are near a store where you want to shop. The app features list sorting features, lets you attach real photos to list items and sync lists with others. Scan bar codes, receipts, store loyalty cards, coupons and gift cards to store on the app. Again, you can only compare prices of items in sales ads or average prices. Not especially intuitive to use for finding sales and prices. This app enables you to find great prices wherever you go. Compare sales prices on items at multiple grocery stores by zip code or using an interactive map. Create lists quickly and organize by store, category or even aisle. You can create multiple shopping lists, as well. The biggest downfall of this app is that it doesn't work consistently. You can only compare prices of items in sales ads and it might not have stores or ads in all areas. Technically, this is not a grocery price comparison app but rather a grocery delivery app. However, if grocery stores in your area offer Instacart shopping, you can easily use it to find out current prices on specific items at different stores. Product photos help ensure you are comparing the correct items. Not available for all grocery stores or in all areas, especially smaller local stores and rural areas. Although My Grocery Deals is a website and not an app, you can definitely use it on the go to check prices on groceries. Simply go to the site and type in the item you want to look up and your address, city or ZIP Code to find the best sales prices nearby. Check to see if your favorite local grocery stores have their own apps. Not only can they help you compare prices, but they typically offer extras such as digital coupons and freebies.